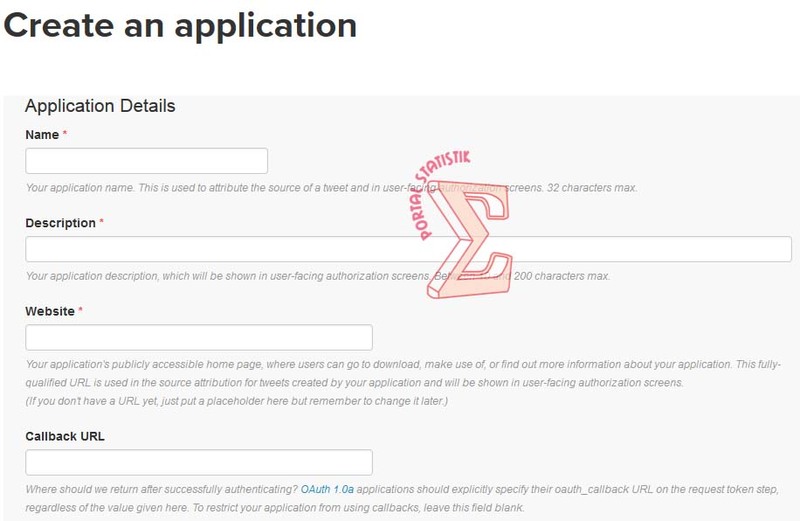 Portal-Statistik | Hello brothers, today I will share about how to authentication Twitter Application using R. This authentication process is required to get access into Twitter Data . If you want to get data from twitter, you must be getting authentication from twitter. We must have the API key and access token from Twitter. It is very easy. We just need to make the application on Twitter. Click Create New Apps button. After that, Fill the form below correctly. Now that, we have obtained all the "secret code" that can be used for the authentication process, the consumer key (API key), consumer secret (API secret), an access token and access token secret. Install the latest version of R and the twitteR package from GitHub. User guide about how to install the R package can be seen in the article Installing R Package. Use the key and token obtained in the previous step. When a function is executed, R console will ask you: Use a local file to cache OAuth access credentials between R sessions?. Type 1 or 2. 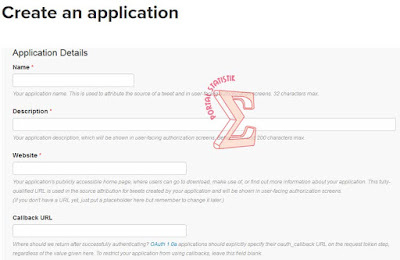 Congratulations, the authentication process has been successful and then we can extract data from Twitter, for example searching for the latest tweets containing the word 'UII'. Twitter search ("UII") By the way for the record, we have to perform the above authentication process at each session of R.
0 Komentar untuk "How To Get Twitter Authentication using R"